When my company informed me that I have to go to Cape Town for a workshop, on a Friday, it was quite obvious that Johan would join me, and we would make a weekend out of it. With one of our plane tickets paid for by my company, and free accommodation in Summerset West (Thanks Dad!) it would just be wrong if we didn’t do it. So we packed out bags and boarded two separate planes to Cape Town International Airport on Thursday, January 24. On Friday, while I was in the workshop, Johan hit the road up the West Coast. 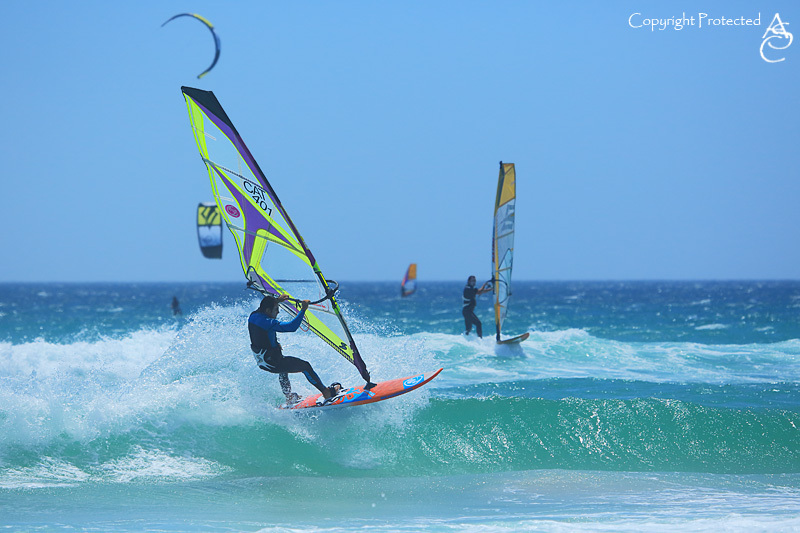 He spent a leisurely day photographing windsurfers and kite-surfers and getting horribly sun-burnt. 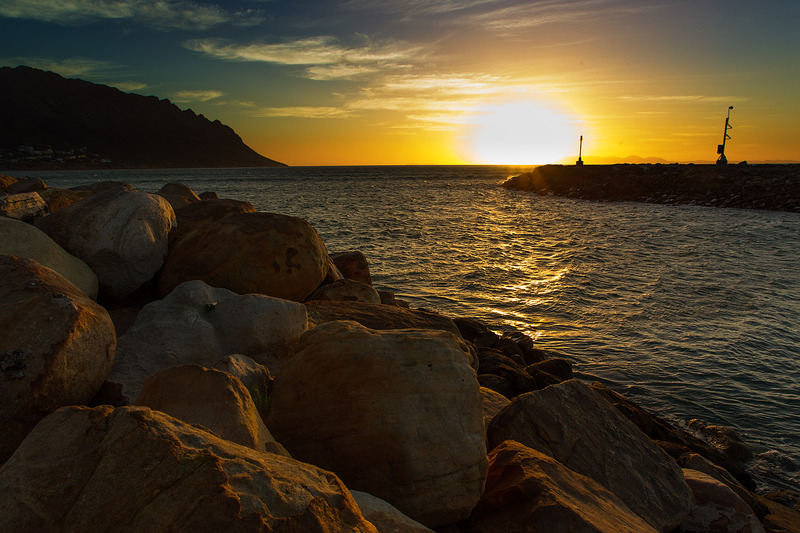 We ended the day on Gordon’s Bay Harbour at sunset. 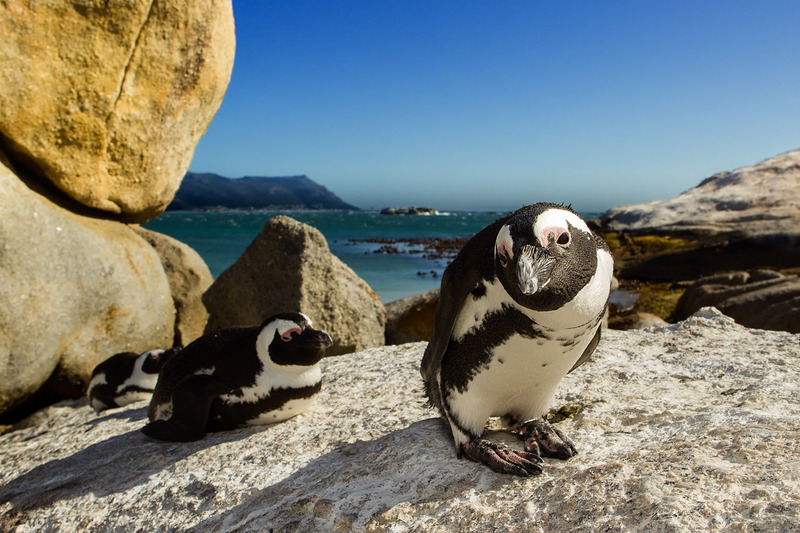 We started Saturday morning by photographing the penguins at Boulders Beach in Simon’s Town. 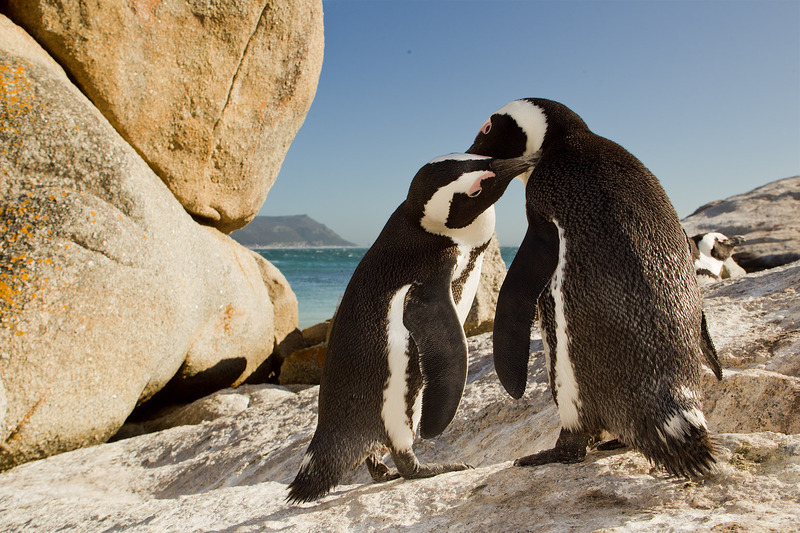 Forming part of Table Mountain National Park, Boulders Beach is a sanctuary for one of the last remaining colonies of the endangered African Penguin. When we first photographed these penguins back in December 2008, I noticed that they were fairly habituated to humans, and that if I was careful and patient enough, they would allow me quite close – close enough to shoot them with a wide-angle lens. Unfortunately Cape Town is too far from our hometown to make traveling there trivial, so I had to wait 4 years to test my theory. It worked! Moving slowly, pausing for a long time after every small movement, I managed to get these penguins to relax enough to allow me withing a meter of them. The photos were everything I had wished for. After having breakfast at a little restaurant overlooking the beach, went to see the exhibition for the Veola Environment Wildlife Photographer of the Year, which, at the time, was at the Iziko South African Museum as part of it’s annual world tour. The exhibition was absolutely spectacular, and if weren’t lucky enough to be able to see it, I would strongly recommend that you get your hands on the printed portfolio. We spent most of Sunday driving around, looking for photographs, but everywhere we went the strong North Westerly wind made almost any kind of outdoor photography near impossible. 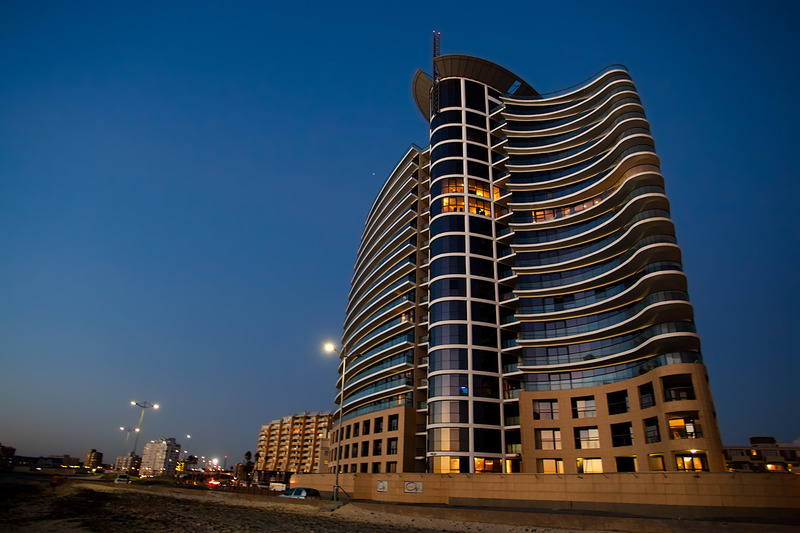 We finally managed to get some photographs of a beautiful, modern high-rise apartment building on the beach-front in Strand. On Monday morning, unfortunately, we had to clean up the flat and get ourselves back to the airport, and home.